Want to look good and live longer? Here are a few dieting tips and my own personal meal plan that will help you look better and leave you feeling 10 years younger. You are what you eat. Human beings are in a war. That war is the never-ending battle to stay healthy. So let’s start with the fundamentals…Diet. Think of yourself as a machine. Your diet is the fuel that will give you better performance and longevity. Here are 10 dieting tips and a sample of the meal plan that I use. Get the right literature. The internet is full of tips and ideas. But not all the information is helpful. 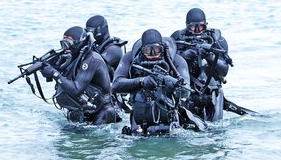 I thought for years as a Navy SEAL I was at the top of my game. Not true. I was an over-achiever, and I was over-training, which was actually holding me back. In 6 months, at the early age of 42, I witnessed personal goals I thought I could never achieve. I went from 215 pounds to 197, and I feel so much better all the way around/. I can’t stress this enough: Before you begin, set a target. Maybe you want to lose weight. Maybe you want to look good. Maybe you want to bulk up. Or maybe you just want to be healthier. Whatever your target is, know the goal. If it’s measurable (i.e. how many pounds you want to lose, how many inches you want to be), that’s even better. But you must set a target. Be smart. Make a reasonable plan. See, oftentimes people go 180 degrees from what they were doing before. Bad idea; 99 percent of them say “screw this” and give up. Well I am here to say: let’s crawl, walk, and then run. Make a conscious decision and stick with it. The bottom line is, and I am speaking of my own personal encounters, people have commitment issues. Dieting is not the greatest thing on the planet. Its okay to make small adjustments as you go, but remember: you made a plan for a reason. Unless you are competing professionally, I say have cheat days (in moderation, of course). I like to keep my diet clean Monday through Friday, then on my 1 or 2 days off, I will have something sweet or have a few beers. Remember: going 100 percent in the opposite direction usually fails because neither the body nor the mind is prepared. I say give the body what it wants, but on your terms. You set the guidelines. Again, this depends on how serious you want to be. I like to keep a journal because I can go back and check to see what I’ve put in my body at the end of each day. If I am feeling sluggish, I can check my journal to see that maybe I need to increase my carbohydrate intake (or whatever). You’ll notice that a lot of these tips are related to organization. Be organized. The point is, find a plan that works for you. Get your meals prepared on your day off. I am OCD. So me and my wife weigh everything out in small Tupperware dishes and also label each one with a permanent marker. Then I pack my meals up with me and eat while I am on the go. Saves a ton of money and since I am logging how I feel, I am always top of my game with my energy levels. Each person is different. So what works for me may not work best for you. But one key to success is consistency. Be consistent not just in what you eat, but when you prepare your meals, how you make them, and when you eat them. This will help you stay on track and keep you from grazing on those tempting snacks. If you are lucky and have a supportive family and friends, this will help out tremendously. Sometimes it’s that support that means success or failure. Understand that you will have good and bad days. That’s okay. Just know if you stray from the meal plan, it’s key to get back on ASAP. We all get weak. But remember: We are in a fight for our lives, and it’s a fight we can win.